The latest issue, with a price tag of £3.99, is out now! 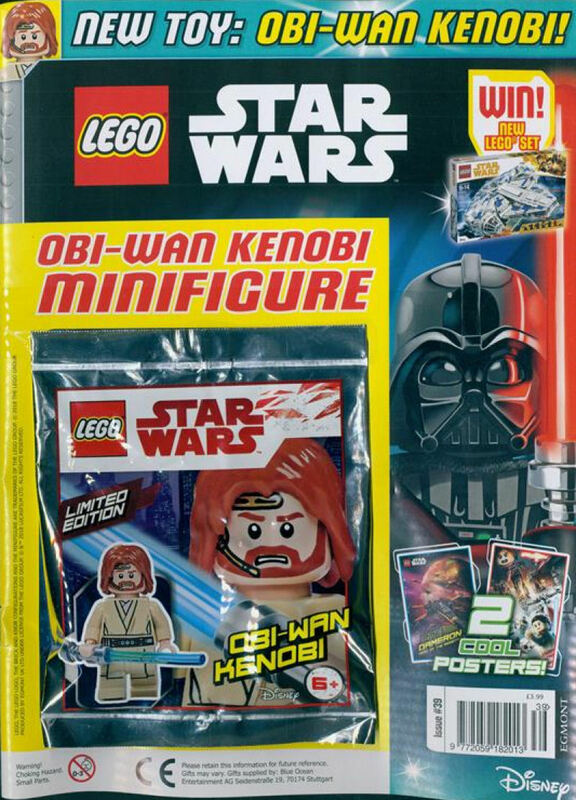 In addition to original comic strips, games, puzzles, posters and competitions is the Obi-Wan Kenobi minfig that came with 75191 Jedi Starfighter with Hyperdrive. The magazine is only licensed for distribution in the United Kingdom and is available at all good newsagents. For overseas subscription information head to Unique Magazines who ship on the same day it is published. The next issue is due out on October 3rd and is expected to include a bonus limited edition LEGO Star Wars Trading Card on the front cover.